This article is the launch of a CleanTechnica miniseries with physicist John Perlin, focusing on the discovery of photosensitivity. Our dialogue is based on Perlin’s book, Let It Shine: The 6000-Year Story of Solar Energy. For any person wishing to keep abreast of today’s solar revolution, Perlin’s expertise on the subject provides an excellent archive. And as we soon discovered, not everyone has their facts about solar energy in the correct order… in fact, there’s a lot of misinformation about the history of solar that is widely shared. CleanTechnica: When Let It Shine first came out, several experts criticized you for not recognizing Edmund Becquerel as the direct link to the solar cells that are in use today. Perlin: Even though all the encyclopedias, wikipedias, and solar experts share similar views, they all have erred. Becquerel even states that he worked with an electrochemical cell and observed sunlight recharging it. But this was clearly not a solid-state device directly related to the current state of the art in photovoltaics. CleanTechnica: Please elaborate on this. Perlin: The discovery of the direct conversion of sunlight into electricity by a solid-state device happened due to the failure in the late 1860s of bars of selenium to act as expected for quality control of cabling before being submerged undersea as part of the first transatlantic communication network linking North America with Europe. 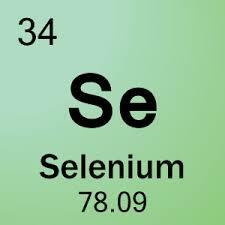 Though the bars of selenium worked as expected at night, they performed dismally when the sun came out. Suspecting that the change in behavior had something to do with light, Willoughby Smith, the chief engineer of the cabling project, placed the bars in a box with a sliding cover. During the daytime, when he closed the cover, excluding any light from entering the interior, the bars’ high electrical resistance – the degree to which they hindered electricity flowing through them – acted as expected and did not fluctuate at all. But when the cover was opened, their conductivity – the enhancement of electrical flow – “immediately increased according to the intensity of light,” Smith observed. CleanTechnica: How did Smith follow up? CleanTechnica: What reaction did the scientific community have to this observation? Probably no scientific team subjected selenium to more experimentation than two British scientists, William Grylls Adams and Richard Evans Day. What they discovered would begin the long march to today’s photovoltaic revolution.